The main differences between Squarespace and WordPress are price, website features, and ease of use. WordPress tends to be cheaper, and offers more features and integrations, but is also harder for beginners. Squarespace is easier to use, but comes at a higher price, and does not have nearly as many themes, plugins and integrations as WordPress. WordPress is a safe bet for businesses who want a traditional website, or want to integrate their website with other business systems (e.g. appointment setting, CRM, email marketing). WordPress is also the most economical solution, since hosting starts at just $2.95/month through Bluehost. A note to our readers: We’ve designed 3 free WordPress themes specifically for small business owners. Learn more in our guide to setting up WordPress. Squarespace is ideal for more artistic businesses, like photographers, boutiques, upscale dining and musicians. Their templates are elegant, minimalist, and highly customizable without the need to hire a developer. This comes at higher cost than WordPress, however, as Squarespace starts at $12/month. On the surface, WordPress is much less expensive than Squarespace. You can set up a fully powered site for as little as $2.95/month through Bluehost, whereas Squarespace starts at $12/month. On the other hand, Squarespace’s pricing is all-in-one, providing just about all the features you need to create a business website (except ecommerce, which requires an upgrade). WordPress is open-source, so its features are supplied by many different companies. You may find some WordPress tools selling for hundreds or even thousands of dollars. However, most small businesses will find suitable alternatives for free, or at significantly lower prices. All plans include unlimited bandwidth and storage, a free domain for 1 year, and access to Squarespace’s main website editing tools— in other words, everything you need to create a professional website. The personal plan is suitable for most small business websites. The business plan is only necessary if you want to sell products online, or customize your website with CSS code, which is basically a way of making nitty-gritty adjustments to your website. Squarespace gives you a lot of editing control already, so you won’t need to worry about CSS unless you have a very specific vision and find yourself itching to remove the header bar, for instance. Squarespace also has 2 ecommerce plans: Basic and Advanced. With these plans, you don’t have to pay the 3% Squarespace fee on product sales (although you do have to pay typical credit card fees). The advanced plan adds even more ecommerce features like gift cards, abandoned shopping cart recovery and an automated shipping calculator. WordPress pricing is a little more complicated since there are multiple places you can purchase hosting. The ‘official’ hosting service at WordPress.com has a limited free version, and a low cost Personal edition. Both limit your site to basic blogging and informational pages. Our recommended provider is Bluehost, since you get a complete version of WordPress with full access to themes and plugins. 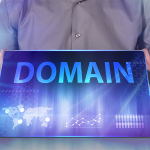 The monthly price is lower than the other providers (staring at $2.95/month), and you get up to 5 professional email accounts and a custom .COM domain. Both Squarespace and WordPress are based off templates (or themes as they’re called in WordPress). A template is a pre-designed website that acts as a starting point for users. Rather than create a website from scratch, you find a template with a style and format you like, then build off of it. The main differences between Squarespace and WordPress are the number of templates available to choose from, and the extent that you can customize the template for your own website. 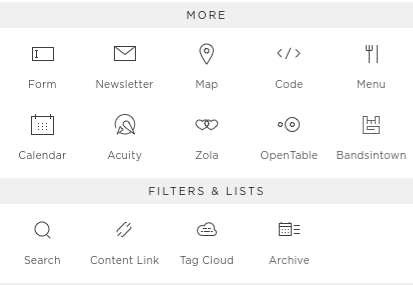 Generally speaking, Squarespace has a smaller selection of templates, but gives you a lot of control over the design of your website using their simple visual editor. WordPress has an enormous selection of templates, but they tend to be more hard-coded— so you have to find one you’re happy with. Note: Both Squarespace and WordPress let you add custom CSS code, so if you’re tech savvy, or willing to hire a developer, you can make just about any change you want. When you first create a Squarespace website, you’ll be prompted to choose a template. Templates are pre-designed ‘sample’ websites you can modify to build your own site. Templates are conveniently sorted between use-cases, including restaurants, photography, music, art & design, nonprofits and more. Squarespace’s templates are one of their biggest assets. They are expertly designed; elegant, modern and free to use with your Squarespace subscription. 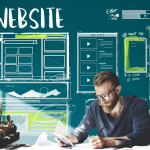 Squarespace templates often feature open spaces, small fonts and video backgrounds, which has made them popular among artistic-leaning businesses, but less-so in professional services that prefer a more traditional website. 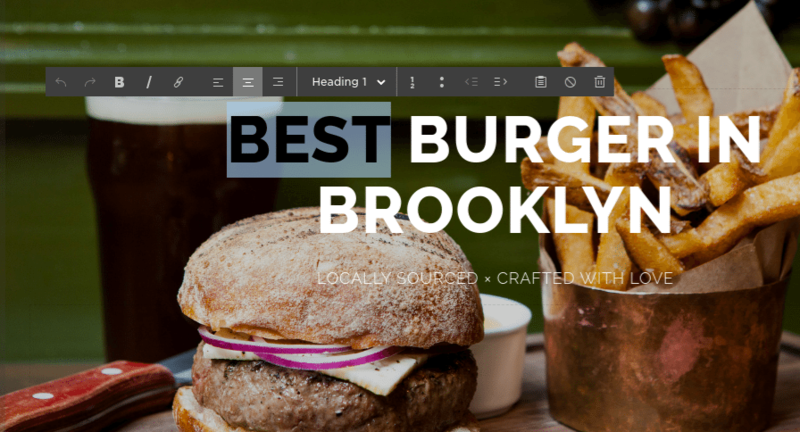 If you choose a template you love, Squarespace’s editor is easy as pie. Simply click on an element to edit it, like a text box or photo. You can make formatting adjustments by adding “spacers.” This takes a little more effort to figure out, but is easy enough for small adjustments. Squarespace becomes challenging when you want to make more substantial edits to a template. Building pages from scratch is cumbersome, and certain edits, like changing the site margins or font color, may require custom CSS code (available on the business plan or higher). To be clear, most users will not have these problems— especially if you’re happy sticking to the template. The warning is mainly for those picky about design. Squarespace is not the most flexible platform. The fact that they do allow edits with custom CSS code is an advantage, but it is still not something beginners will want to venture into. 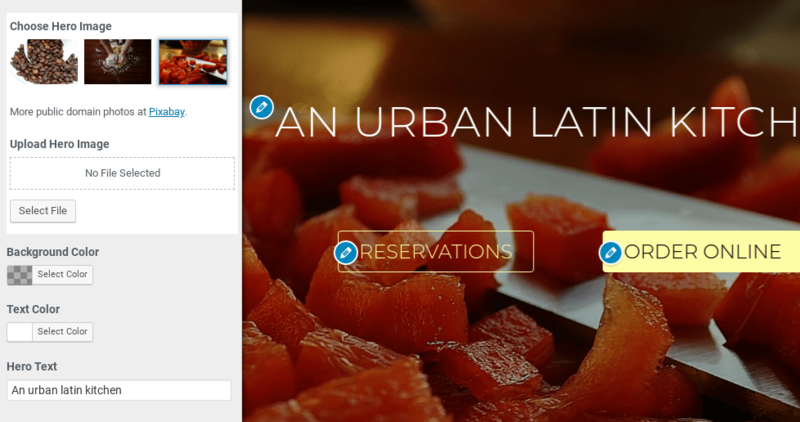 For a full overview of features and user ratings, check out our Squarespace review. WordPress’s editor is less visual compared to Squarespace. Rather than clicking to edit, say, a text box or button, WordPress editing happens on the left-side panel. You input information like your business description, button text and colors, and the website is automatically updated to the right. This style of editing has its pros and cons. Visually-oriented users can find it frustrating, since you have less control how things are positioned. On the other hand, WordPress websites can often be created faster, and with less chance of errors than Squarespace since you aren’t fiddling with element’s positioning. Just like Squarespace, editing on WordPress is all based on templates (or themes as they’re called in WordPress), and finding a theme you like makes editing significantly easier. Unlike Squarespace, there’s thousands of themes to choose from, so with enough searching, you can find something that matches your business perfectly. We designed 3 free themes for our readers at Fit Small Business, specifically to make editing easier and faster. Our themes include a Business Edition, Restaurant Edition (pictured above) and Salon Edition— You can click these links to check out samples and view instructions on how to download and set them up. 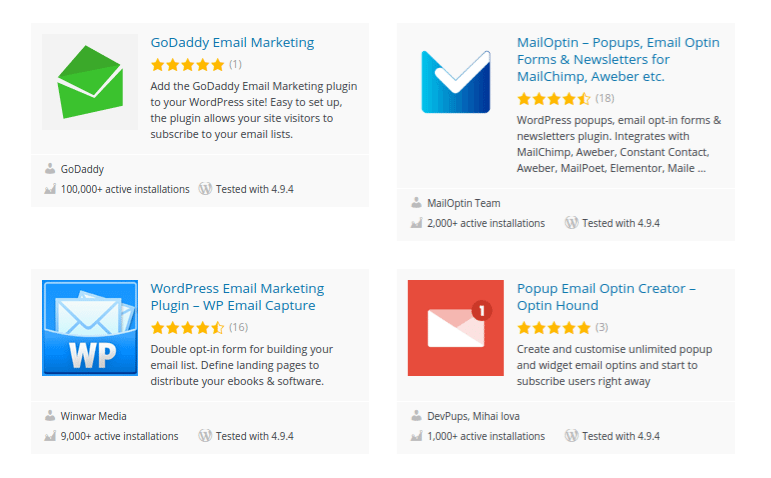 For a full overview of features and user ratings, check out our WordPress review. Plugins are additional features you can add to your website, like interactive calendars, email sign-up forms, or Instagram galleries. Traditionally, a business would need to hire a developer to program these custom features, but with plugins, it just takes a few clicks. WordPress is king of plugins with over 50,000 in their database. Many of these are integrations with other business systems, such as CRMs or booking/appointment systems. This allows users to interact directly with your systems, so, for example, they could view available time slots, book an appointment, and pay a deposit directly from your website. Squarespace does not have an official plugin database like WordPress does, although they do support a few integrations, including OpenTable, Amazon Affiliates and Acuity Scheduling. No official plugin database, although there are a few unofficial providers like Square Studio and The Squarespace Code Shop. Squarespace has a few free plugin-like features available directly from their website editor, including calendars, restaurant menus, contact forms, maps and more. Integrations include Mailchimp, OpenTable, Zola, Acuity, BandsInTown, Soundcloud, Instagram, Flickr and Twitter. Search results for “Email Marketing” in WordPress plugins database— there’s over 1000 results. Both Squarespace and WordPress allow you to create an online store, and are actually the two most popular platforms for this purpose. WooCommerce (WordPress’s ecommerce platform) accounts for roughly 22% of web stores in existence, while Squarespace accounts for 14% according to Datanyze. The reason WooCommerce is more popular is because it’s less expensive to set up and can accommodate a wider range of transactions, like subscription services and appointment booking. WooCommerce can be added to your website for free, as long as you’re using a paid WordPress hosting plan. Squarespace requires an upgrade to the Business Edition ($18/month) and even then charges a 3% transaction fee on your sales. That said, it’s a bit easier to set up and manage than WordPress, which is why its still used by a substantial portion of online stores. The Business Edition ($18/month) lets you list unlimited products. You need to pay a 3% transaction fee to Squarespace along with credit card transaction fees, which are typically around 3% (or 6% total). Squarespace has better customer service, mainly because their email and live chat agents can answer any type of question, whether its web-design, ecommerce or domain-related. With WordPress, you’ll often have a different provider for each of these services, meaning you have to contact a different company for each type of question. On the other hand, WordPress is so widely used you can find answers to just about any question with a Google search. For example, we have detailed support guides available for all our Fit Web Themes WordPress themes, and provide one-on-one support via our Q&A forum. Most themes and plugins will provide free resources like these. WordPress is a safe pick for business websites. It supports just about any feature or integration you could imagine, and is less expensive than any other website builder. That said, some businesses still prefer Squarespace for their minimalist templates and simpler editing tools, despite the higher cost. Regarding WordPress, It’s important to note that there’s thousands of different companies offering themes and plugins. All the benefits to WordPress go out the window with a poorly designed theme, so its essential read user reviews, and try out free versions before making a purchase. I would say, WordPress is best for creating websites because it is free, easy to use, and an open-source content management system (CMS) for users. On the other side, Squarespace is a proprietary solution that starts at $12/month. WordPress is indeed free, but you need to buy some bits and pieces to actually bring together a live website. First is hosting! Hosting for WordPress websites are actually based on how much resources and traffic you get to your website. Hosting for an average or small website is between $10 – $15 a month, which includes 1GB RAM, 1 Core processor, 25GB storage, 1TB bandwidth, unlimited apps, free SSL, free migration, 24/7 support and many more. Agreed and a great summary. The only caveat here is that hosting can actually be much less money — $3/month through Bluehost for unlimited bandwidth. And even after the 3-year promotional term, it renews at $8/month.